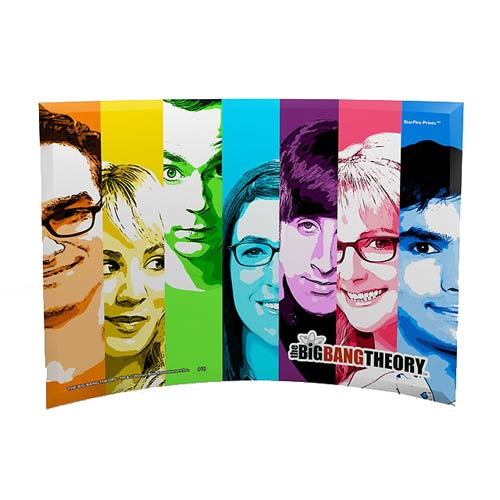 The Big Bang Theory Pop Art Curved Glass StarFire Print is translucent yet vibrant with color and features Raj, Penny, Sheldon, Leonard, Howard, Bernadette, and Amy. The curve is designed to capture the natural light making every image a true piece of art. Free-standing curved glass measures 10-inches wide x 7-inches tall. Ages 14 and up.